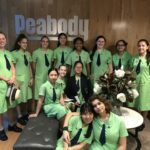 Science technology engineering and maths (STEM) were brought to life for Nanango State High School students last week (Thursday) when Downer employees from Meandu Mine demonstrated the practical uses of their classroom studies. They mentored the students through hands-on challenges involving chemical processing, robotics and engineering challenges. The Beakers Bots Build program, run by the Queensland Minerals and Energy Academy, included 25 year-9 students. “Downer values the opportunity to help excite young people about STEM subjects and the associated careers available to them in the resources sector,” said Clare Hudson, Downer’s General Manager – People, Standards and Capability. “Meandu Mine provides many career opportunities for local people and we want to make sure they select school subjects that will enable them to enter further education and training that can keep them in their local region,” she said. 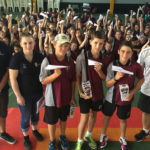 Nanango State High School Head of Department Peter Cavallaro said experiential activities such as these help the students’ understanding of STEM concepts. “The QMEA activities provide valuable context to their classroom learning and also helps them to join the dots between school, training and further education and joining the workforce,” he said.